Eating disorders are complex and making changes can be overwhelming. Using a collaborative, family based approach, we will work together on nutritional rehabilitation while rebuilding your relationship with food. I don’t believe in dieting but will help you to achieve a healthy, balanced lifestyle. 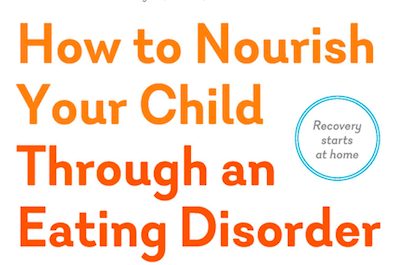 Parents of kids who are struggling with an eating disorder (ED)—including anorexia, bulimia, binge eating disorder, and many more that go undiagnosed—quickly find themselves at a loss as to how to feed their child and ensure they are receiving adequate nutrition. Now, registered dietitians Casey Crosbie and Wendy Sterling present their innovative and easy-to-implement visual approach that demonstrates balanced meals with the optimal ratio of nutrients—designed to set kids and teens on a path toward permanent recovery. 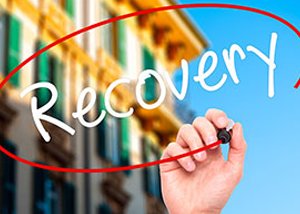 The“Plate-by-Plate Approach” is rooted in the leading psychological approach to ED, family-based treatment (FBT), which enables parents to treat their child at home rather than send them to an expensive in-patient program. 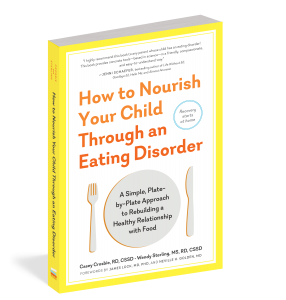 Paired with therapy, this essential guide covers everything parents need to know about nutrition, plus the warning signs and potential health risks, how to talk about weight changes and set goals for treatment, and how to incorporate structure at mealtimes. Their approach, the“Plate-by-Plate Approach,” will be published in the Journal of Nutrition and Dietetics, in an article coming soon entitled, “The Use of the Plate-by-Plate Approach for Adolescents Undergoing Family-Based Treatment.” **Foreword by James Lock, MD, PhD, Director, Eating Disorder Program, Lucile Packard Children’s Hospital at Stanford and Neville H. Golden, MD, Chief, Division of Adolescent Medicine, The Marron and Mary Elizabeth Kendrick Professor of Pediatrics, Stanford University School of Medicine. 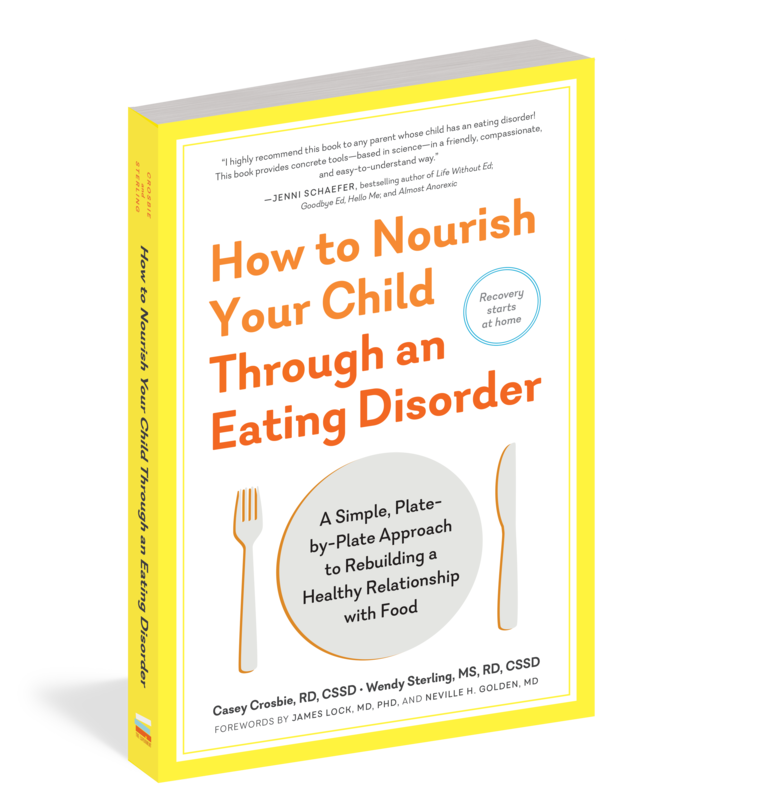 Follow Wendy and Casey’s page on instagram for tips of building good plates, encouragement and support @platebyplateapproach and purchase your copy of How to Nourish Your Child Through an Eating Disorder today! This workbook has everything teens need to achieve connected eating, body positivity and balanced exercise. It will help them stay well informed about how bodies change emotionally and physically, and why good nutrition is critical for growth and development. It debunks any myths about diets and ‘forbidden’ foods and also gives you the tools and strategies to avoid potential triggers of disordered eating. No Weigh! 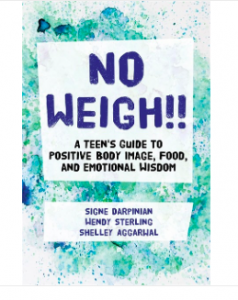 A Teen’s Guide to Positive Body Image, Food, and Emotional Wisdom is written by a therapist, an Adolescent Medicine doctor, and Wendy as the dietitian. The foreword was written by Connie Sobczak, co-founder of The Body Positive. This book will help teens develop a lifelong healthy relationship with your food. We eat every day, so why not eat with pleasure, joy and happiness? Purchase your copy of “No Weigh!” today! 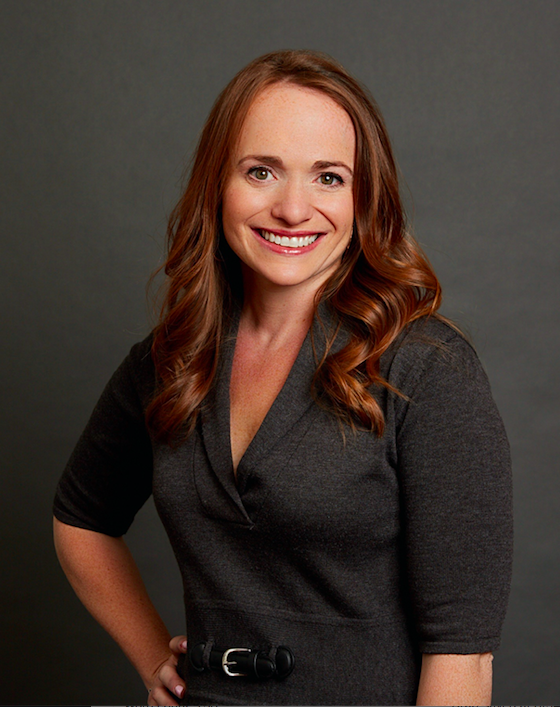 Wendy Sterling, MS, RD, CSSD, CEDRD-S is a Certified Eating Disorder Registered Dietitian and Approved Supervisor through the International Eating Association of Eating Disorder Professionals, and a Board Certified Specialist in Sports Dietetics in the Bay Area in California. 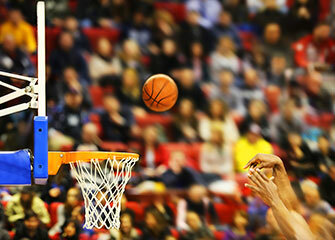 She specializes in sports nutrition, eating disorders, and weight concerns. Wendy maintains a private practice in Menlo Park and Los Altos, California. Wendy is a co-author of “How to Nourish Your Child Through an Eating Disorder: A Simple, Plate-by-Plate Approach to Reestablishing a Healthy Relationship with Food.” She and her colleague Casey Crosbie created the innovative approach to refeeding called the “Plate-by-Plate Approach,”a no-numbers, visual approach, which has been featured in the Journal of Nutrition and Dietetics in an article entitled , “The Use of the Plate-by-Plate Approach for Adolescents Undergoing Family-Based Treatment.” For tips, support and encouragement on building good plates for nutrition rehabilitation for the treatment of eating disorders, follow on instagram: @platebyplateapproach. She is also the co-author of, “No Weigh! A Teen’s Guide to Body Image, Food, and Emotional Wisdom,” a book co-written by an adolescent doctor, therapist, and herself as the dietitian for teens about their changing bodies, hormones, emotions, and tips for improving sleep, body image, and their relationship with food. Wendy has been the Team Nutritionist of the Oakland Athletics since 2016. She has consulted for the Golden State Warriors, New York Jets (2006-2013), NY Islanders, and Hofstra University’s Women’s Lacrosse and Volleyball teams, where she worked directly with players to improve endurance, speed and explosiveness. Wendy has worked closely with the Menlo School since 2014, where she has developed a sports nutrition curriculum for the Athletics program and has consulted for the Santa Clara Aquamaids synchronized swim team. She is a Sports Performance Nutrition Consultant for a variety of Sports Agencies, where she helps athletes achieve peak performance prior to the NBA draft and NFL Combine. Wendy is part of the United States Olympic Committee Sports Dietitian Registry. She works closely with competitive athletes in order to enhance sports performance and gain a competitive edge. Wendy worked at The Healthy Teen Project, an intensive outpatient program and partial-hospitalization program for teens struggling with eating disorders, from 2014-2017. Wendy provided nutrition counseling to children and adolescents in the Eating Disorders Center at Cohen Children’s Medical Center of New York which is part of the NS-LIJ Health System from 2001-2011. There she worked as part of a multi-disciplinary team, evaluating and treating a spectrum of eating disorders and disordered eating. She has conducted research in the areas of amenorrhea, osteoporosis, and metabolism on adolescents with eating disorders and her publications can be found here. Wendy has been on the Clinical Advisory Board of Project HEAL, a nonprofit organization created to aid in the funding for the treatment of eating disorders, since it was created in 2008. Wendy is a co-founder and co-owner of FOODWIZE, a company that specializes in menus that are kid friendly, nutritionally sound, and parent approved. Wendy received her B.S. in dietetics/nutritional sciences from Cornell University. She earned her Master’s Degree in Nutrition Education at Teacher’s College at Columbia University where she also completed her dietetic internship. Wendy is a former competitive dancer and All-American Cheerleader. Follow her on instagram at: wendy_sterling!